The lakes are a string of five shallow pools along a trapped creek valley. 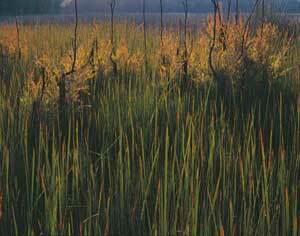 The lake edges display a zonation of vegetation. About 15 millions years ago, a river flowing through low sandstone hills was disrupted by Earth movements, perhaps associated with the uplift of the Blue Mountains. The drainage was tilted, the river left the valley and small lakes pooled in the hollows. Much later, the lakes became known as Couridjah, a place of honey, by the local Dharawal people. When whites came, they called them Picton Lakes, and then Thirlmere Lakes. For a long time, these remarkable lakes were little valued by the white settlers. Water was pumped from them to supply steam engines on the southern railway. Much later, they were used for water-skiing. 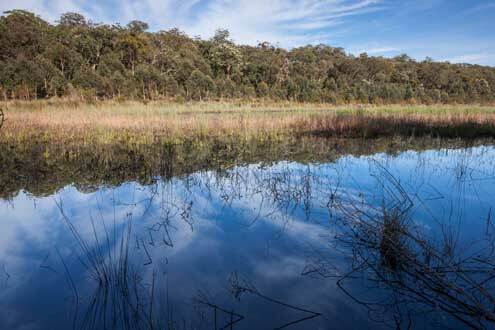 The tide began to turn in 1972, when Thirlmere Lakes National Park was established. 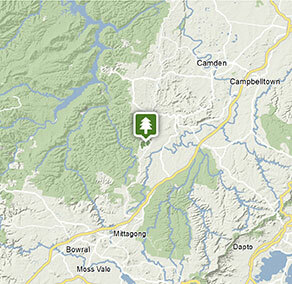 It's the smallest park in the Greater Blue Mountains World Heritage Area. At just 630 hectares, the park is almost overwhelmed by the much larger Nattai National Park next door. But this small package holds many wonders. Most lakes are ephemeral features in the landscape, with lives in the thousands of years, perhaps a few million. They succumb to sediment infilling and other natural processes. The five Thirlmere Lakes are also filling in, but very slowly. They are some of the oldest lakes in the world. And some rare and remarkable organisms live here, including a freshwater sponge with some unusual habits, worms, a mussel and protozoans. The reed-fringed lakes can be very peaceful, ideal for quiet activities such as canoeing, bird-watching, swimming and picnicking. 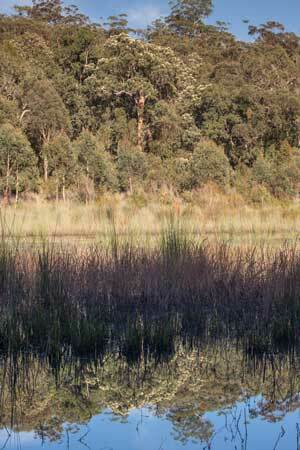 A swampy area adjoining one of the lakes sprouts new growth of sedges and teatrees after a bushfire. The Dharawal people know Thirlmere Lakes as couridjah, a place of honey. The lakes were once a popular water-skiing venue, until reason prevailed and the activity was stopped to prevent erosion of the banks. Now thick growths of Typha sedges fringe much of the water’s edge. Underground coal mining has been allowed to occur quite close to the boundary of the small Thirlmere Lakes National Park, risking disruption of the pattern of groundwater that feeds the lakes. Some evidence suggests that this led to the near-drying of the lakes several years ago. 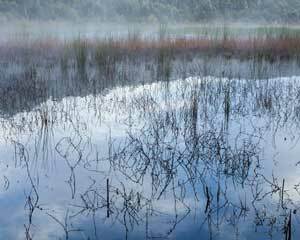 Thirlmere Lakes can be disarmingly peaceful, especially at dawn and dusk. 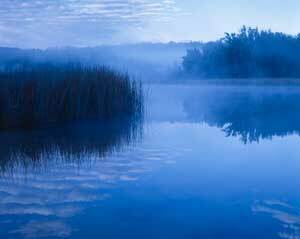 On cool nights the warmer water draws a light, drifting fog from the humid atmosphere.